Your local branch will work with you, to help you through the application process. Click here to download the second page of the membership application, if needed. 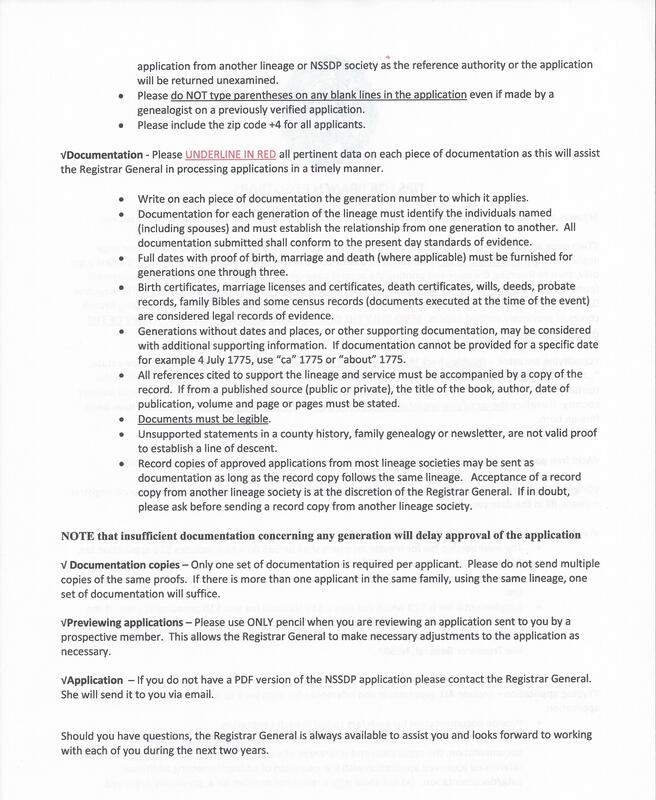 Click here for page one of the application instructions. 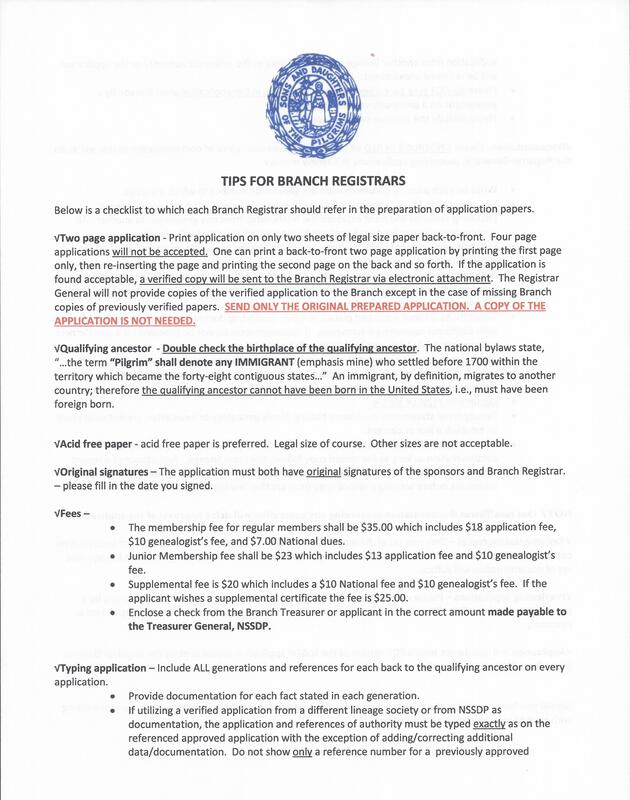 ​Click here for page two of the application instructions. (1) Regular Membership - Any person of good character having attained the age of eighteen years, in lineal descent from any Pilgrim, shall be eligible for regular membership if acceptable to a Branch and the National Society provided the application and required documentation are approved by the Society's Registrar General. (2) Junior Membership - Any person of good character under the age of twenty-one years and of Pilgrim ancestry may be enrolled as a Junior Member with approved documented application. (3) Associate Membership - A spouse of a Regular Member in good standing may be received as an Associate Member. Associate Members are not eligible for membership under their own right. To be eligible for Regular Membership and Junior Membership, applicant must prove lineal descent from a Pilgrim. For the purpose of the Society, the term "Pilgrim" shall denote any immigrant who settled before 1700 within the territory which became the forty-eight contiguous states of the United States of America without regard to religion of place or origin.